There is a real desire for progressive solutions in every part of the country—including areas that many Democrats have, unfortunately, written off. Given the party’s recent losses, Democrats’ latest attempts to compete at the federal level in traditionally red states may seem off base. In 2018, 10 Democratic senators are up for reelection in states where President Trump prevailed, while just one Republican incumbent is running in a state that Hillary Clinton carried. Yet despite the daunting landscape, some Democrats are setting their sights on races in Texas and, more unexpectedly, deep-red Alabama. Unlike with previous bids to expand the electoral map, however, these Democrats are not relying on outside money or slickly produced ads. They are doing it with strong candidates who are running smart, locally driven campaigns. 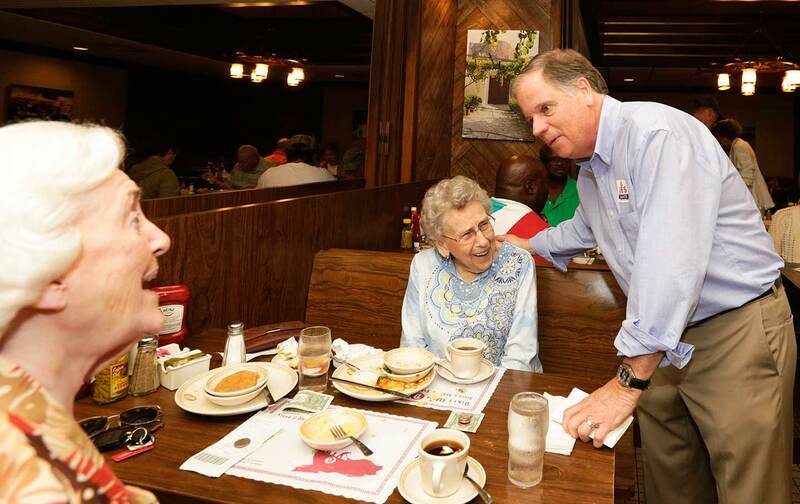 The first opportunity for a Democratic pickup will come in December when Alabama voters head to the polls for a special election to fill the seat vacated by Attorney General Jeff Sessions. The race pits former US Attorney Doug Jones (D) against extreme right-wing candidate Roy Moore (R), a former judge with a history of espousing theocratic and bigoted views. Moore’s victory in the Republican primary last month put the race on the national radar, but Democrats now have a chance to compete because of work that Jones and his supporters, including local activists affiliated with MoveOn.org, have been doing on the ground for months.